Friday 14th September marked the third annual Joseph James Law (JJL) event at Alders Farm Fishery in Milton Keynes. 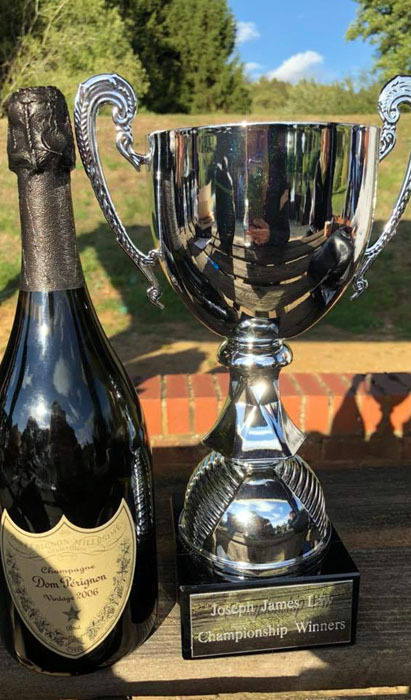 This popular, high profile event see’s teams of five (5) go head to head across Yew, Pines and Oaks lakes to be crowned team Champions and receive a very welcome £1,000 first place prize with second place on the day also receiving an additional £500. Despite the event being in its infancy, the competition has already gathered some serious momentum attracting some very the country’s best commercial anglers. This year’s event welcomed twelve (12) teams, including two (2) teams from Maver (UK) – these being Andy’s All Stars and Glyn’s All Stars. Teams on the day competed for section points with each angler’s score contributing to an overall cumulative total. In the event of a tie on points, placings would be confirmed based on weight. Despite fishing on the day being relative difficult, competition for the top two pay out places was extremely close with very little separating anglers in their respective sections. Team Captain of Andy’s All Stars, Andy Kinder, looks back on what was another superb event for everyone involved. “It was the third J J Law match that had been run this year by Andrew Settle and his team at the fantastic Alders Farm Fishery in Milton Keynes. May I say what a fantastic day this is for everyone involved and Andrew and his team of people put on a fantastic day for everyone. The hospitality included breakfast and a great buffet after for everyone as well as drinks and food brought round to your pegs while you were fishing“. “To the fishing side of things we entered a Maver all-stars team, which included myself as team Captain, Simon Skelton, Matt Skelton, Ed Warren and Maver Milton Keynes angler Ben Bell. We were allowed to decided which anglers we wanted to place on which particular sections with two sections on Ash lake, two sections on Pines lake and one section on Oak, which is the speci lake. Simon and Ed went on Ash, Ben and Matt went on Pines (as they had fished this before), which saw me placed on Oak with it being a sit and wait for big fish approach“. “I sent Simon up to draw for the team because he always draws well so everyone says! He didn’t disappoint drawing me a peg with an island cast on Oak lake peg 1, which is a really good area. As for the other pegs, we didn’t really know what to expect and a team decision was made for everyone to fish their pegs how they thought was best“. “My match was a relatively straight forward method feeder match, which I opted to fish over towards the island. It was a bit of a tug of war with the carp when hooked due to brambles and snags over there, but I managed to get a few out, but did lose a few even with strong gear on! At the end of the five hours, I weighed in 122lb, which was enough to win my section and the lake overall“. “Over on Ash lake, Ed Warren came back with a section 2nd, which was a brilliant performance taking into account he’s hardly spent any time on commercial all year and had never fished Alders Farm before the event. Simon came back with a 3rd in section so all was looking good with three anglers back“. “Matt was next back with a 5th in section, which was a very close one with just over 10lb separating the top ten anglers so a really tight section. Ben Bell was last back and the poor lad had had a terrible match just not being able to string any fish together on the day for 53 lb. It happens to us all at times, even having been in the match there the Tuesday to practise and catching 300 plus pounds on the same lake“! “That gave us a total of nineteen (19) points, which put us in 3rd place overall as a team on the day, just one point shy of 2nd place and a £500 pay day and four (4) points from winning the event overall. Well done to Preston on winning and Mallory Park on 2nd“. “All in all a great day and well done again on a fantastic day by all the JJ Law and Alders Farm team“.